Dr. Shaikewitz was raised in St Louis, Missouri. He did his undergraduate studies at Stanford University, and completed his medical degree and internal medicine training at Washington University of St. Louis. He finished a nephrology fellowship at Colorado followed by a transplant nephrology fellowship at Oregon. Dr.Shaikewitz is board certified in internal medicine and nephrology and UNOS certified in transplantation. 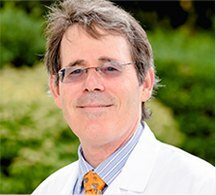 He has been with the practice since 1998 and is now Chief of Nephrology at Durham Regional Hospital, Consulting Associate Professor at Duke, and Chair of the Durham Regional Hospital Pharmacy and Therapeutics Committee.